My second grader knows a lot about the brain. This is thanks in part to the book, “Your Fantastic Elastic Brain!” by Dr. JoAnn Deak and illustrated by Sarah Ackerley. His Montessori learning center teachers use this book to help their students understand how they can grow and stretch their brains. One day my son had a conversation with me about his fantastic elastic brain. He explained he had a large rubber band when it came to math since this subject is a breeze, but when it came to reading he still had a small rubber band– he is not an expert reader yet. You can download the lesson plans for “Your Fantastic Elastic Brain” for free online and purchase the book on Amazon. 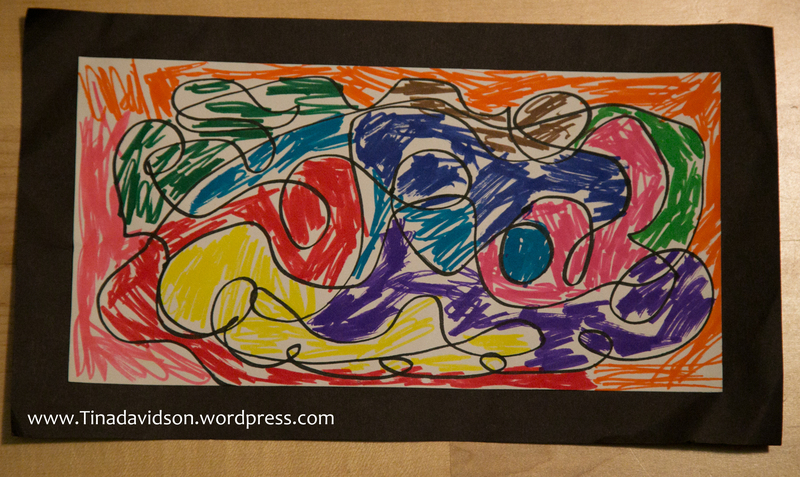 Recently, after a drawing exercise at school, my son brought home the picture posted above. He told me it was a picture of the brain and proceeded to tell me where the cerebrum, prefrontal cortex, hippocampus, and amygdala were located on it. (As a brain blogger and mother, I was quite impressed with how much he knew about brain anatomy). He also offered to draw and label the parts of the brain on his picture, but I told him it wasn’t necessary since I preferred the original abstract picture without the labels. Brain development does not stop after early childhood, but it is the foundation upon which the brain continues developing. Early childhood is the time to build either a strong and supportive, or fragile and unreliable foundation. These early years are very important in the development that continues in childhood, adolescence, and adulthood. The early years are very important but remember the concept of neuroplasticity and that it is never too late at any age to grow and stretch your brain. What routines have you established to help your children learn? How have you stretched your brain lately? Do you think my son’s picture should have been orientated the other direction and I posted it upside down? I’d love to hear your thoughts on the topic of rubber bands and your brain.